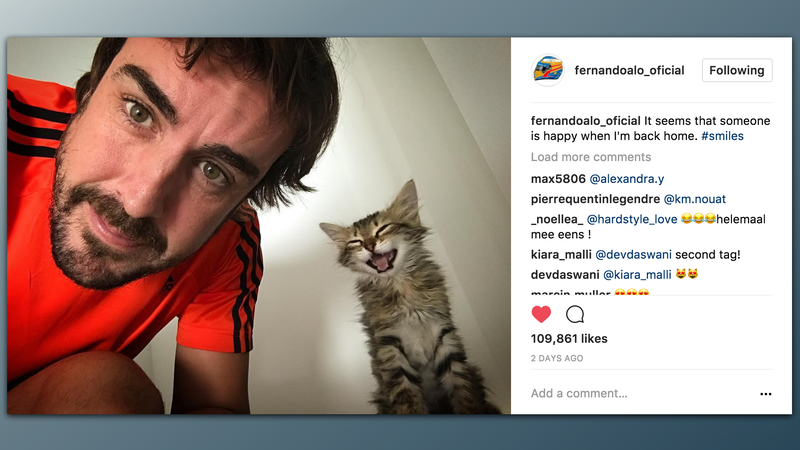 Formula One star Fernando Alonso is probably long accustomed to being the center of attention, but there’s a new star in his life that’s stealing some of the shine: a tiny cat. 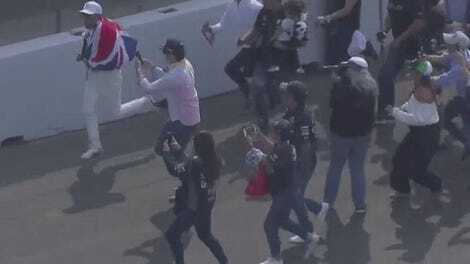 But for a long, tormenting two days after he shared a photo of the little angel, we did not know its name. No answer. He’s probably been too busy with kitty cuddles. Many people commented that it was the most they’d seen Alonso smile in years. That is probably accurate. Thus, we could not leave this child’s name a mystery, despite all odds working against us on social media. Jalopnik went straight to the McLaren F1 team, warning its spokespeople of the “very important and pressing question” they were about to be asked: What is the name of Fernando Alonso’s cat? We knew this kind of crucial and dire request would be a challenge, but had a strong belief that McLaren was up for it. The cat’s name is Cleo. Jalopnik is still waiting for an answer and for those details to make this a more well-rounded blog, but preferred not to be scooped by Alonso on the name of his own cat. Check back later for very important updates to this story. Update 1:58 p.m. Alonso said in at tweet in 2013 that he prefers dogs over cats. What changed? We must know. Update, Nov. 3 at 8:53 a.m. The McLaren F1 representative said Cleo is not short for Cleopatra, and that she had no further information on the cat or how Alonso got it. The mystery continues. This story was produced by Jalopnik’s Special Projects Desk.